Media Circus is proud to have the infamous Oz Clark, Tim Atkin MW and Olly Smith of TV fame as our clients since 2016! 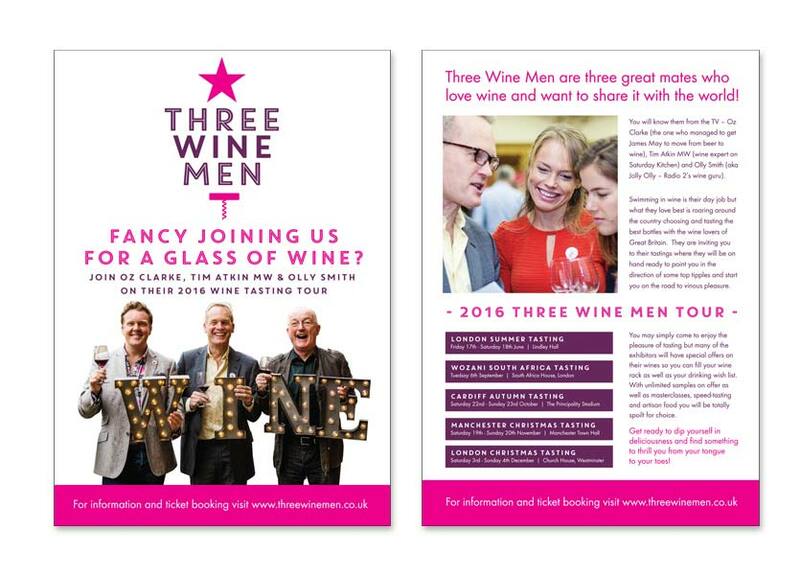 The brief was to design a clean and eye catching flyer to publicise the upcoming wine tasting tour, in keeping with their branding. We also produced a pull up banner in the same style, multiple posters, exhibition display graphics and more.